In a class session on hunger measurement each fall, I advise not relying on statistical measures alone. These measures are important, but it also is valuable to "see for yourself," by visiting anti-hunger efforts on the ground, getting to know all neighborhoods in your community, participating in activities that involve people from diverse income backgrounds, and basically by living life in an unsheltered way. 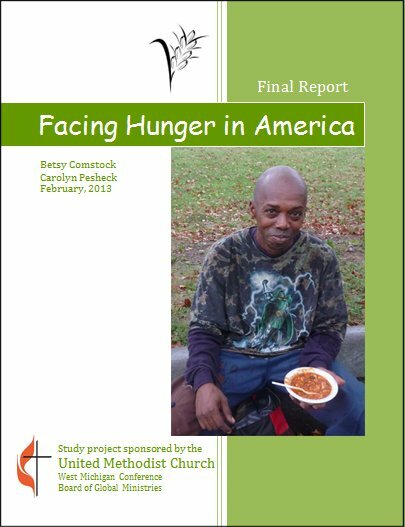 Perhaps Betsy Comstock and Carolyn Pesheck were thinking of something similar when they decided to spend the first part of their retirement years working in at least one anti-hunger program in each of the 50 states. I enjoyed meeting Betsy last week and hearing about this ambitious undertaking.